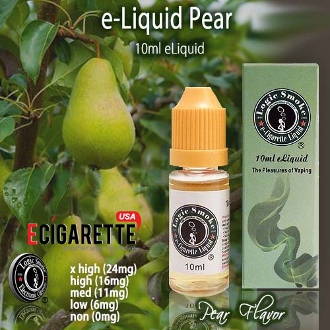 Our Pear E-liquid from Logic Smoke is a delectably light, fruity flavor that will remind you of eating fresh fruit strait from the orchard. It is wonderful alone or added to any of our other fruity flavors. Pick up a bottle of Logic Smoke Pear E-liquid today and satisfy your sweet tooth.